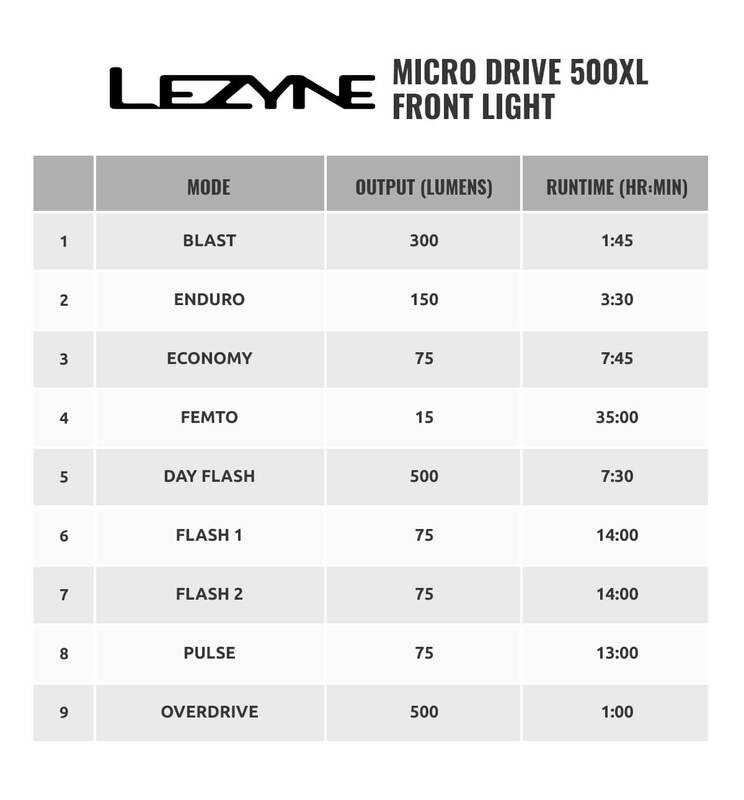 The Micro Drive 500XL front cycle light from Lezyne is a high power LED light outputting up to 500 lumens. Machined from heat-dissipating aluminium, the light is compact and durable. The light features nine mode options, including the ultra high-visibility Daytime Flash mode. The Optional Overdrive Race Mode allows you to toggle between Overdrive and Economy modes only. There's also a convenient Mode Memory function which returns to the selected mode after turning off. The Micro Drive features an enhanced MOR (Maximum Optical Reflection) lens, with built-in side visibility, and has high-speed 2 amp USB charging capabilities (with compatible wall adapter). The light comes with a versatile strap securely that mounts to all standard bar shapes, including aero bars, and an advanced Li-Ion battery which provides a superior run time.